The best plugin for showing feed (page, videos, photos and news) from Facebook to your website. Show your Facebook page through our multifunctional widget – Facebook Feed. News, videos, images – be sure your users won’t miss a single message. Engaging look with real elements of Facebook will not stay undiscovered and will contribute to not only holding current customers on the website, but also engaging new Facebook subscribers. Uplift your social media marketing to another stage supported by iFrame Facebook page widget. A brand that has current profiles in social media networks gets 74 more trust among users. Use your Facebook profile on website, to reassure clients your business is true and trusted. Use an instrument of social influence on your website, to get more customers. Let your users get to know your company on Facebook and win their trust, which will allow increasing your conversion. Demonstrate social and interactive elements, which get interest of readers, to hold them on the website and tell them about your items or company in details. Read our guide, to end up inserting. This will last for just 2 minutes and doesn’t require abilities in programming. 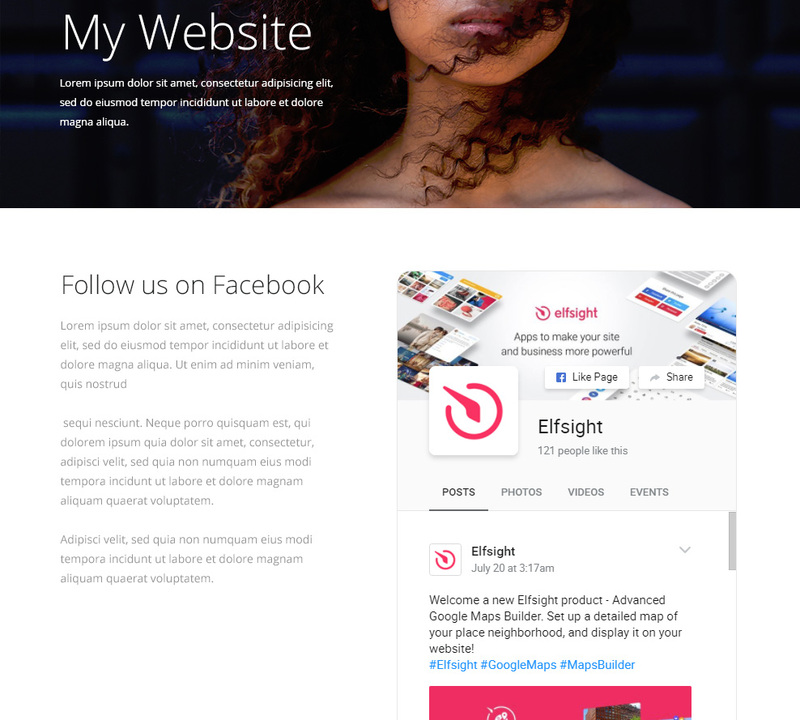 Create a unique iFrame Facebook page widget in our demo and get installation code to put in on your site. 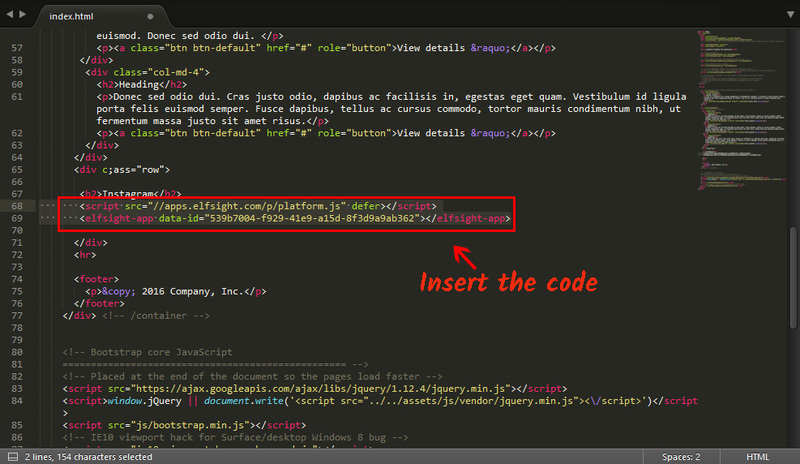 Embed the code into the page of your site or template, where you plan the widget. Done! Facebook Feed widget is installed on your iframe website. Need any help with installation, changing settings or the work of the plugin? Feel free to address our support center, we are here to help! 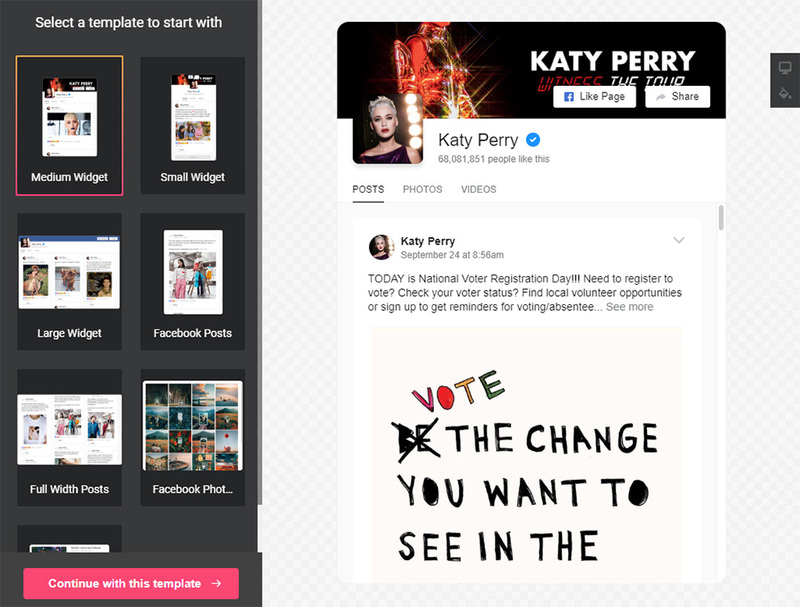 Build your iFrame Facebook Feed in just 70 seconds! Build your Facebook page widget easy and fast in the interactive live editor!